Sunderland’s predicament is the stuff of shredded nerves. Sam Allardyce talks of needing perhaps four wins and a draw from eight games and many of us doubt we are capable of producing anything like such a haul. There you have it. A five-point safety cushion, a much improved goal difference and a game in hand over two of the bottom three – if only we’d done what was so well within our reach and drawn at West Ham, then beaten Crystal Palace, Southampton and Newcastle. Add Malcolm’s grievance to the mix and while we would still be in 16th place on goal difference, we would be no fewer than 11 points above third bottom. The comparison of real and might-have-been is enough to reduce us to tears. The wasted opportunities in those four most recent games and the abysmal display against Norwich create the difference between a relaxed canter to the end of the season and the nailbiter we now face. Big Sam cannot be blamed for the disgraceful start to the season long before he arrived from the Costa del Sol on his white charger. I do not especially blame him for the 1-0 defeat at the Boleyn. The team he sent out would have won had Defoe, Rodwell and Patrick van Aanholt converted their chances; they wouldn’t have scored but for PvA’s error. But I do hold him accountable for the squandered points at Southampton and Newcastle, since his substitutions failed in each case, though the defensive deficiencies against Palace were more telling than the loss of Jan Kirchhoff, subbed between 1-1 and 1-2. 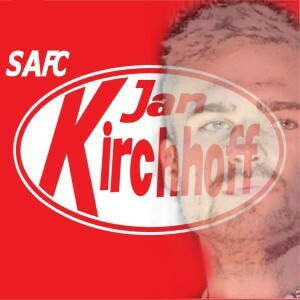 I accept there is a disturbing question mark over Kirchhoff’s fitness to last an entire game but the difference we have seen in successive away games, once he departs, is there for all to see. It leaves us in another desperate and, if my maths stand up to scrutiny, unnecessary scramble for survival. We now need not only our own results – there are five home games among the last eight – but for others to help us out, starting with April 2, when we absolutely must beat WBA at home and hope for a draw between Norwich and the Mags. Since three of the four SoL games that will then remain are against Leicester, Arsenal and Chelsea, the need for those famously improved performances of late to produce, finally, wins cannot realistically wait. And then there’s the small matter of Norwich v SAFC on April 16. It’s our next away game and defeat is now unthinkable and perhaps unmanageable. The players have been talking a good run-in. Their fighting words will mean nothing unless matched by points on the table. Tags: Newcastle United, Norwich City, relegation, Sunderland A.F.C. I’m not sure your maths is correct, Colin. We still control our own destiny in that if we win all of our remaining games we stay up. We can do it without them! Ah, I see. But it goes back to my point about our likely haul from the remaining 8 games, which is certainly not 24? More on this in my next post, probably Friday. I have been puzzled by some of Sam’s substitutions too but on Sunday I didn’t feel they changed the game too much. O’Shea for Kaboul was probably enforced and by the time Kirchhoff went off the game was slipping away because we were playing too deep. The manager and his players have admitted as much. Like Pete however, I was puzzled as to why N’Doye went on for Khazri. Lens would have seemed a more logical swap. There will be more twists and turns to come but things might have been easier had the Mags not been going to Norwich next game as it means at least one of them will be guaranteed points. Currently I am in a strange state of mind where I am relatively happy with the team, certainly with the effort shown, but I don’t think it’ll be enough. Recently when we have had a good end to a match it’s only brought us one point whereas a poor end has cost us two. It’s produced this fatalistic attitude of mind to which I am no stranger. Still think Palace could slip into the mix and I expect The Mags to go down now so I haven’t given up entirely. Seb instead of N’Doye, anyone? We could have held them in midfield. Is there a reason why Seb wasn’t on the bench? That baffles me too. Seb was our best and most consistent player last season. I concur with your state of mind. The mags were terrible, toothless, inept, against us. A few seconds of switching off cost us. I can see Pulis’s mob ruining our season. Norwich are as bad as the mags mind. Am I going ? or are both tables illustrated identical? You are correct but originally the tables were in a different format and weren’t the same. We’ll fix it. My apologies. The fault is/was mine. I think I may also have played a part in the confusion – after all, my “Back to reality” article was printed alongside. No, the fault is mine. I copied M Salut’s figures and converted them into two tables externally . Then I copied each external table and pasted them back into his article. Either the second copy didn’t work and the first one remained in the buffer to be pasted in twice or I copied the first one twice and pasted it twice. Thing is, I checked and I’m sure I saw we had 33 points in the second table.